Please join us in welcoming Frank Stallone to the GigMasters family! Yes, we’re talking about Sylvester Stallone’s brother. If you were alive (and conscious) in the early '80s then you may remember his hit song “Far From Over” from the Staying Alive soundtrack. The single was nominated for a Golden Globe, and definitely has an “Eye of the Tiger” feel to it. It sounds like Survivor (the band) meets Michael McDonald...which I’m sure they actually met in the ‘80s at some point. Less than a month after Stallone got onboard, Timex Social Club signed up as well! If you don’t recall the name, you should at least remember their classic club track “Rumors" -- you know the one that goes "Look at all these rumors / can't take it no more." It’s an essential '80s song if you like to get down with lost-but-not-forgotten R&B jams. And yes, since they're on GigMasters now, you can book them for your own private party if you'd like. Those just a few. We have your '80s covered with The Reflexx, The Breakfast Club, Bueller, Past Action Heroes, Spandex Superheroes, Rubix Cubed and many more! 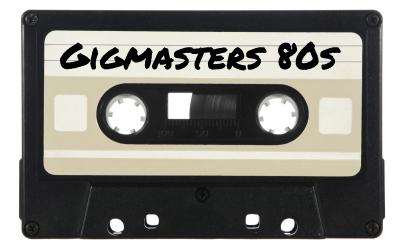 If you’re feeling nostalgic, just go to GigMasters.com, and enter your city and “80s band” to see who’s available for your next party. And remember to wear your Oakley Frogskins sunglasses.